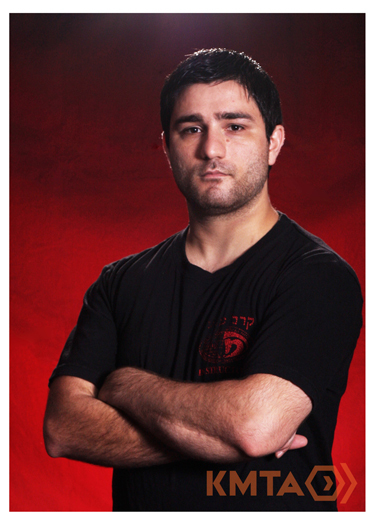 Iman began training in Krav Maga in February 2009 with KMTA, gradually climbing through the ranks as a student. As a senior student in 2010, he moved in to an administration role within KMTA while continuing his training. In April 2011, he received his Civilian Instructor certification, and his Kids Instructor certification in 2016. Aside from Krav Maga, Iman graduated from university in 2010 with a Bachelor of Psychological Science and a Bachelor of Criminology and Criminal Justice. In 2011 he completed his Masters of Criminology and Criminal Justice, and in 2013 gained a Masters in International Relations. Iman also actively participates in Futsal on a regular basis, and has completed all Kettlebell training courses run at KMTA. Though unconfirmed, it also appears likely that Iman has the prestige of being the world’s first Iranian Krav Maga instructor! Currently graded to Expert Level 1, teaches Personal Training sessions and fills in during evening classes when his busy time-table permits. It’s a real pleasure to have the ever-busy and dedicated Iman as part of the KMTA Instructional Team!